About Tim, the man that can help. I’m a master clinical hypnotist and master NLP practitioner based in the Sydney CBD area and providing hypnotherapy services since 2006. I also utilise these skills and more to provide a dynamic Success coaching service. In addition to extensive therapy time in the clinic with thousands of clients over the years, I’ve been fortunate enough to have trained with some of the world’s leading hypnotherapy, NLP, mesmerist and coaching professionals. My skill sets achieve consistently successful results for my clients for an array of different issues and conditions. 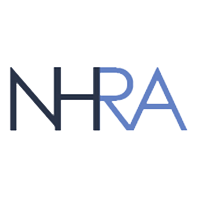 I am a professional member of the Australian Hypnotherapists Association (AHA) and the National Hypnotherapists Register of Australia (NHRA). This involves monthly super-visionary meetings with ongoing training and studying. Australia is one of the leading countries worldwide, advocating progressive hypnotherapy and maintaining the highest standards and results. 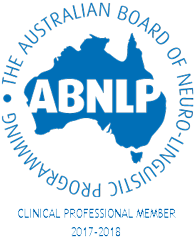 I’m also a member of The Australian Board of Neuro-Linguistic Programming Inc.
Clinical hypnotherapy is a powerful and proven method to change lives for the better. If you’re struggling with a particularly persistent issue or obstacle, find out how hypnotherapy can help unlock a healthier, happier you. Your hypnosis session will be practical and effective as we will work together to define your goals whether you wish to stop smoking, lose weight, overcome phobias or addictions, eliminate stress, ease depression, address insomnia or any other unhealthy habits or issues. Once the goal has been defined we will then start the hypnotherapy. You will be guided or induced into a powerful and natural hypnotic state, it’s very relaxing and pleasant and it enables an openness, where your subconscious mind, the part that has the ability to change, becomes open to suggestion. The suggestions enable changes to be made, so you can achieve your goal, this all happens quite rapidly and is long lasting too. You will also be provided with ongoing backup and support, in the form of a comprehensive training in self-hypnosis so you can reinforce your goals on a daily basis. Also, a personalised CD/MP3 and homework programs. I am also proud to offer a guarantee on my smoking cessation services. My guarantee means that if for any reason you go back to smoking, you may make another appointment at my Sydney clinic at no extra cost. Self-hypnosis, Mesmerism and the Know Thyself are the 3 courses that are held throughout the year. You can transform your life in just a few sessions, so don’t delay; make your initial appointment today. Or feel welcome to call me for a chat. Many people don’t need therapy, but they do need help to achieve their goals with coaching. This is another area that I can assist people with. Listen to the latest radio Interview with Tim Thornton on radio 2ser Weekend Breakfast 20th Jan 2018 here. Tim is a registered member of the ABNLP and NHRA.